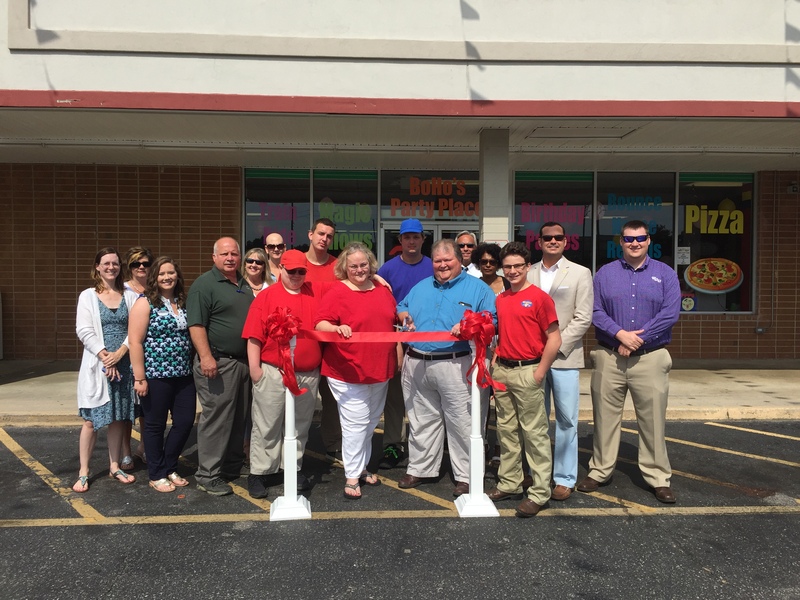 The Henderson-Vance Chamber of Commerce celebrated with Character Antics/BoHo’s Party Place on Tuesday, June 13th with a ribbon cutting during their Grand Opening week. Character Antics has been a household name in Vance and surrounding counties for 17 years. Their mission has always been regardless of profit, put the children first. Providing BoHo the Clown, inflatable rides, face painting, balloon art and games has been their way to brighten the day of children of all ages. BoHo’s Party Place is their new family restaurant and party center, carrying them into the next fun phase of our business. They offer freshly made pizza, hotdogs, burgers and sides at family affordable prices. They offer free fun for every holiday. They also have a private room for baby showers. BoHo’s Party Place is open 7 days a week and walk-ins are welcome. So children can come for a birthday party or just to have bounce time anytime. They also offer discounts for churches and schools. They offer a special thank you to all the great friends who came out to support them during the ribbon cutting. BoHo’s Party Place is located at 214 Raleigh Road in Henderson.